After more than 15 years, the skatepark in Otto-Dullenkopf-Park in Karlsruhe has been completely redesigned and expanded. Therefore, the architects in charge DSGN concepts searched for an energy-efficient and attractive modern full-area lighting solution. 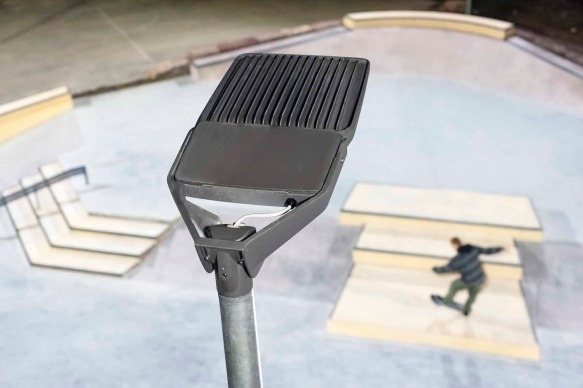 Floodlight 20 midi LED luminaires from OSRAM subsidiary Siteco now provide an innovative and flicker-free LED lighting solution that allows the new spectacular skatepark to be used until 10 pm, offering strong light on demand for the skaters. 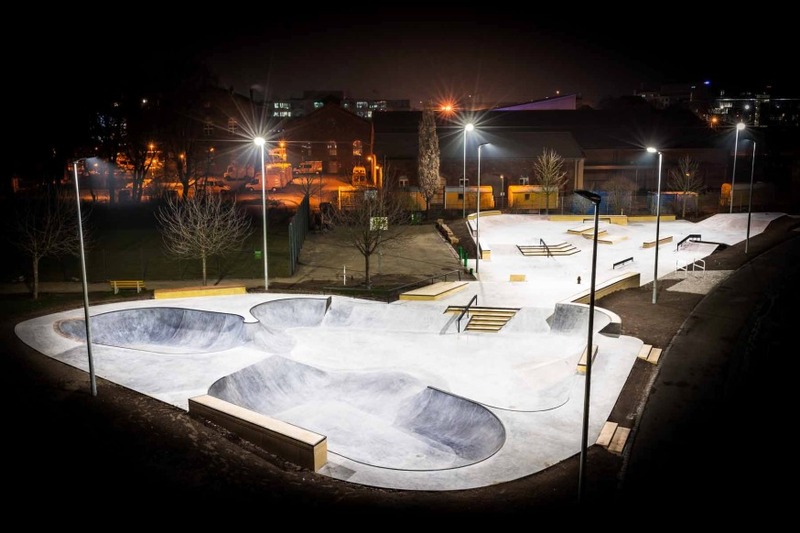 The main objective was to illuminate the skatepark homogeneously, energy-efficiently, flicker-free and with low glare for the skaters. The skatepark in Otto-Dullenkopf-Park in Karlsruhe has been completely redesigned after more than 15 years and expanded. DSGN concepts, the architects in charge of the modernization were looking for a both energy-efficient and good-looking innovative full-area lighting solution, providing instant light on demand without ramp-up time like discharge lamps. The main objective was to illuminate the skatepark homogeneously, energy-efficiently, flicker-free and with low glare for the skaters. OSRAM and DSGN met in a workshop on “urban free spaces”, organized by the IAKS, the International Association for Sports and Leisure Facilities, and decided to work together on this project to create a benchmark for future skatepark solutions. Skateparks usually have no lighting, which means that they cannot be used after dark. 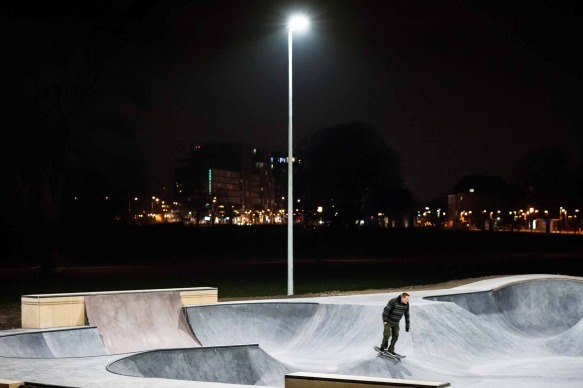 The attractive Floodlight 20 midi LED luminaires from OSRAM’s business unit lighting solutions now provide a lighting solution that allows the new skatepark to be used until 10 pm, offering strong light on demand for the skaters. The light can be switched on by a switch by the users themselves. After 30 minutes the light dims down to 50 % to indicate the shutdown. If the light is needed further on it can be switched on again. The Floodlight 20 LED family (micro, mini, midi and maxi) enables planar sports and area lighting to be implemented with high efficiency, and at the same time with maximum demands for quality of light, functionality, design and individual needs.